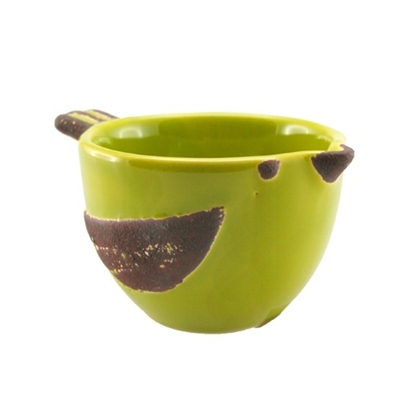 Perfect pippin green bird cup. Ceramic with brown accents. 8pc min. Must order in increments of 8.